Following the “Great Migration” population grew and demand for land pushed settlers west and south., the settlers and their offspring spread out – first to the Connecticut Coast (see Native American Life in Massachusetts After European Contact – Pequot War ) and then up the Connecticut River Valley. The settlement of the Connecticut River Valley is interesting background for the settling of Lenox – both for what the two have in common and what they don’t. The Connecticut River Valley was the bread basket of New England and unlike many other areas of Massachusetts (including Lenox) could support raising single crops for export. As with many other towns (see The Unique Nature of New England Towns) Springfield and the other Massachusetts towns along the Connecticut River were established by wealthy individuals who planned to make profit based on later increased land values. The settlement of the area from Springfield to Northampton was distinguished by the outsize role of a single man – William Pynchon. Pynchon, who had been a relatively wealthy man in England, had explored the Connecticut River and established a lucrative fur business. With the agreement of the Massachusetts Bay Company, he purchased major acerage in the valley. 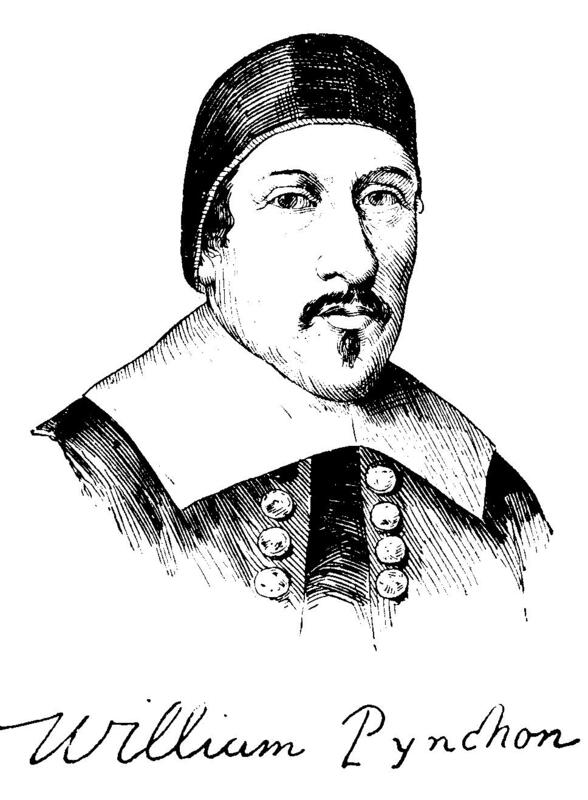 What would become Springfield, was purchased from the Indians in 1635, and was initially part of Connecticut, but William Pynchon, decided to affiliate with the Massachusetts Bay colony. The inhabitants were also somewhat unique in that more of them were renters than in other towns where families tended to own land. A majority were actually employees of the Pynchon family. In 1640 the name was changed from the Indian name, Agawam, to Springfield in honor of Pynchon’s home town in England. Lay led Church services until a town had accumulated the 50 or so families needed to support a minister. These “plantations” would also be expected to organize a militia, elect town officials and make arrangements for schooling – often involving clergy. Dense, hilly woodlands with limited (Housatonic) water access.